When they run smoothly, getting around by train can be a great way to travel. However, the food offerings can leave a lot to be desired. And this is where First Great Western and seafood chef and restaurateur Mitch Tonks have upped the ante, by joining forces to create a new lunch and dining menu for the UK’s only fine dining rail car service, Pullman. The 12:06 London Paddington is where I depart for a gastronomic journey to Exeter St David’s. The Pullman is a standard modern first class carriage. Admittedly, I was expecting something more lavish and olde worlde, but the ride is spacious and comfortable. 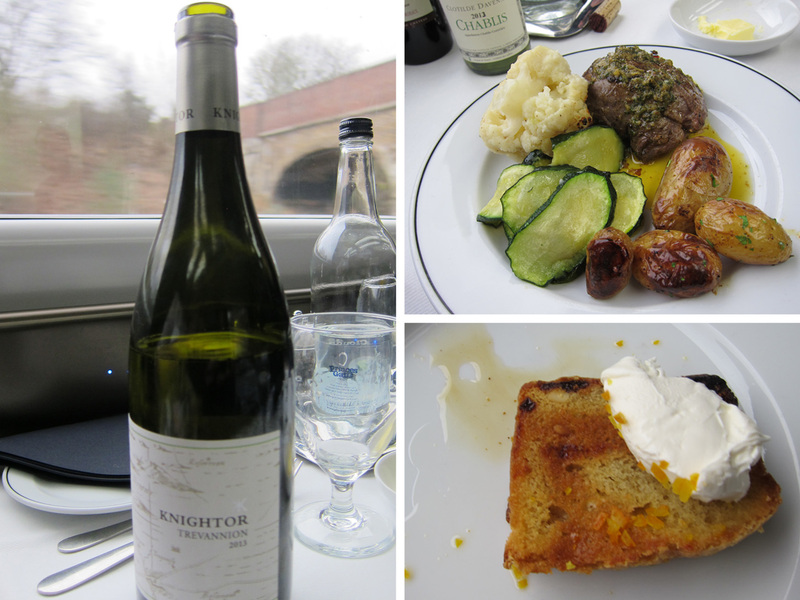 The food on board is locally sourced from the South West region with Adrian Derx, owner of Knightor winery, supplying the wines. The menu is unpretentious, with much of the food prepped off site (when you see the space the chef has to work with you’ll understand why), but a lot is still done en route. 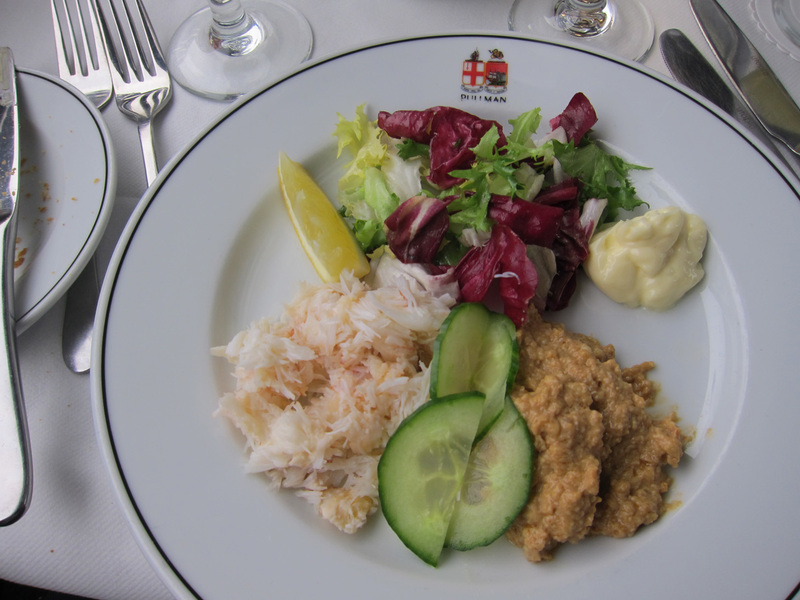 A starter of crab arrives with both the white and brown meat, and is deliciously fresh and sweet. 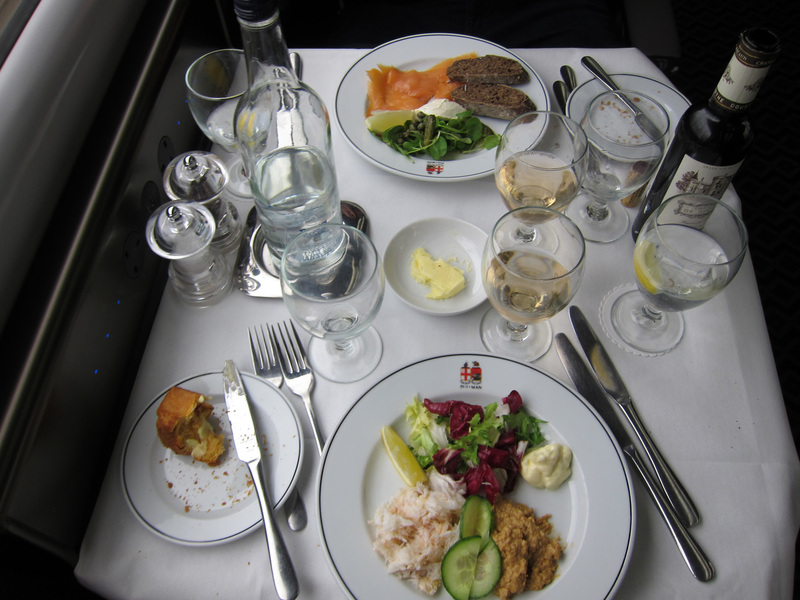 The main is silver service, which add extra class to the experience. A fillet steak is served medium as ordered in a wonderfully rich Café de Paris butter. The accompanying vegetables are a little uninspiring, but overall it’s a fulfilling dish. Disappointingly, there are some timing issues with the service and I finish the meal hurriedly as we are about to reach our stop. It’s one of the only times when I wish for ‘signalling issues’ or ‘leaves on track’ to delay the journey. However, I do manage a tasty spoonful of the olive oil pine nut cake, before hastily disembarking for the return journey home. An experience on the Pullman makes the journey that extra bit special. 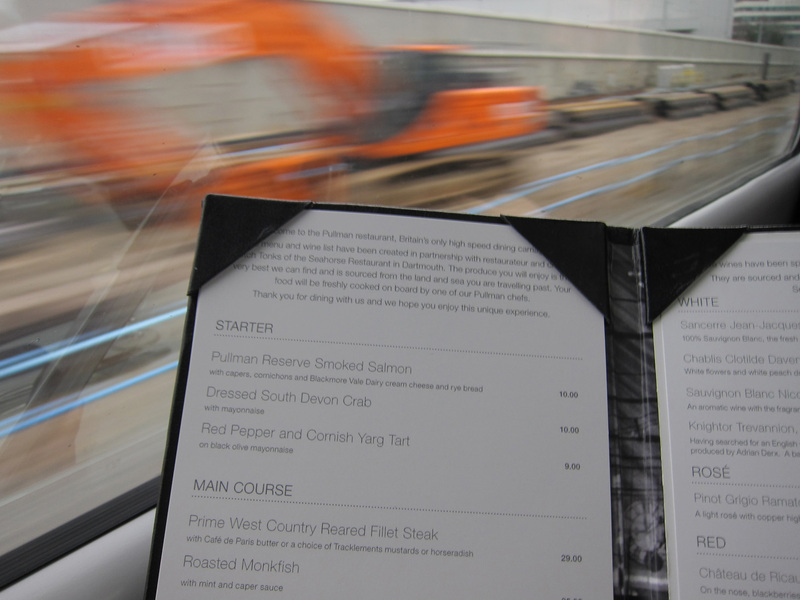 You don’t have to hold a first class ticket to dine in the Pullman, but priority is given to first class ticket holders. The Pullman service is only available on selected journeys, so best to check the website for up-to-date details. Starters are from £9, mains from £19 and dessert or cheeses £9. Food I Fancy was as a guest of the Pullman.